T-Mobile has just announced that it is bringing free Apple Music streaming to all its users through its Music Freedom initiative. But that’s not all, T-Mobile is upping its game significantly by offering a free upgrade to the iPhone 6s for those who have purchased the iPhone 6 from the carrier itself. T-Mobile has been making huge strides in the mobile space when it comes to freedom it offers to its user-base. And today’s announcement comes as a huge treat to those who have signed up for Cupertino’s Apple Music service. As part of its Music Freedom initiative, users will be able to stream Apple Music as much as they want for free, adding on top of the already free iTunes Radio which T-Mobile already offers. 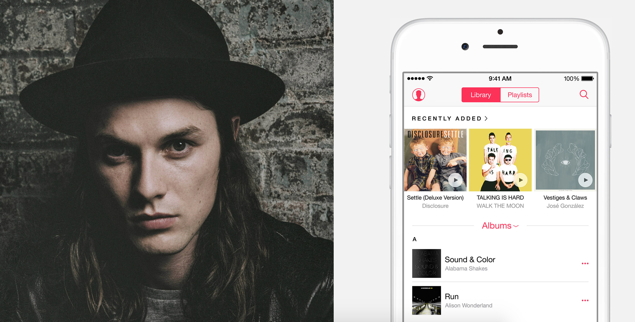 T-Mobile already currently supports free streaming of music from 33 services, and the addition of Apple Music to the roster is indeed a welcome move. Keep one thing in mind though, you will be required to pay the $9.99 fee when Apple Music exits its trial period, it’s just so that you won’t have to pay the data fee for streaming. But the fun doesn’t end there: if you buy an iPhone 6 this summer from T-Mobile, the carrier will upgrade you to the next-generation iPhone absolutely free – no strings attached. But it should be made clear that the offer needs to be availed before the end of the year, once that time period is up, users will be required to pay the upgrade fee, therefore it’s highly recommended users set a reminder for September, if they’re planning to upgrade of course. Users are required to buy the iPhone 6 using T-Mobile’s JUMP! on Demand program if you want to take advantage of this offer. The Cupertino giant launched Apple Music as part of iOS 8.4 download, and later on, the service made its debut on iOS 9 with the release of beta 3. It’s very clear from Apple’s push that the company wants to take its music streaming initiative to new heights as it strides into the future. On the other hand, the iPhone 6s is slated for debut in September, and it’s also rumored that the handset would be accompanied by a smaller, 4-inch iPhone 6c, but that plan could change if different analysts are to be believed. The iPhone 6s and iPhone 6s Plus are rumored to feature a Force Touch display along with a faster processor, faster LTE chip and a slightly better structural integrity.